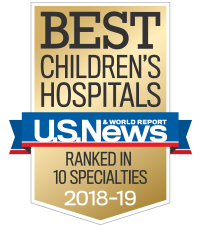 Children’s is dedicated to making the kids of Forsyth better today and healthier tomorrow by offering outpatient services, including urgent care, audiology, endocrinology, general surgery, neurology, orthopaedics, orthotics and prosthetics, rehabilitation and sports medicine. When your child has a minor injury or illness and your family's pediatrician is not available, Children’s Urgent Care is here for you especially on evenings, weekends and holidays. Community specialists also see patients in the Urgent Care Center at this location on select days and times. A department of Children’s at Scottish Rite hospital. Our office is located in Suite 300. Clinic visits are by appointment only. Monday to Wednesday: 8:30 a.m. to 5 p.m. Thursday and Friday: 8 a.m. to 6 p.m.
X-ray: Monday to Friday - 11 a.m. to 5 p.m.